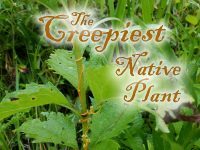 Just in time for Halloween: the creepiest native plant I know! Do you dare to read about it? Don't blame me if you have nightmares! 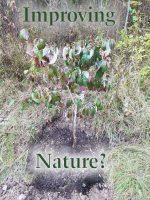 It's so easy to think that nothing is living or growing under the snow, but all you need is a January thaw and a stroll in the woods to see that there are plants that have not given in to the onslaught of cold and snow. 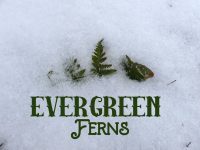 On my strolls over the years I have noticed that there are two ferns that remain evergreen in our woods during the winter. I know a fern when I see one, and that's about it. I thought it was about time I taught myself a bit more. Join me as I try to identify these two ferns. 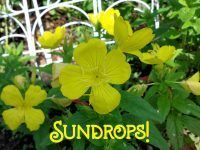 Every flower is a wildflower--a native plant--somewhere, though this is easy to forget when that "somewhere" is on the other side of the world. 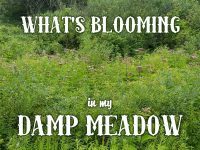 On the other hand, it's easy to take our own native wildflowers for granted, or even despise them as weeds. 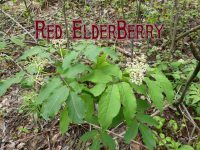 And many popular garden plants native to North America had to be recognized as garden-worthy by gardeners in other countries before they were adopted by gardeners here. 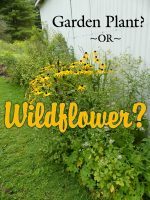 So, how do you tell if a plant belongs in the garden, or is a wildflower--or a weed? 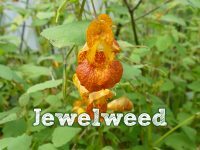 If you have to have a weed in your garden, jewelweed is a great choice. In fact, if it doesn't grow in your garden, I feel a little bit sorry for you. 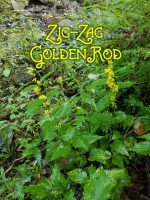 It's as nice a weed as a gardener could wish for--if a gardener needed to wish for weeds. Read more to find out why! What would happen if you didn't mow your lawn? We often let the grass get pretty shaggy before we mow for the first time, and you might be surprised at how pretty it looks. 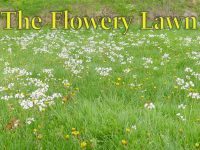 Also, learn the difference between a flowery lawn and a cropped meadow.